The Krakow comforter is filled with white goose down and is a lightweight fill, perfect for warmer summer months. A sateen cotton shell allows this comforter to be used alone or as a duvet insert. Drift of to sleep in luxury with this fluffy down comforter. "Is this comforter filled with 100% goose down and not with other mixed feathers?" No it's not. 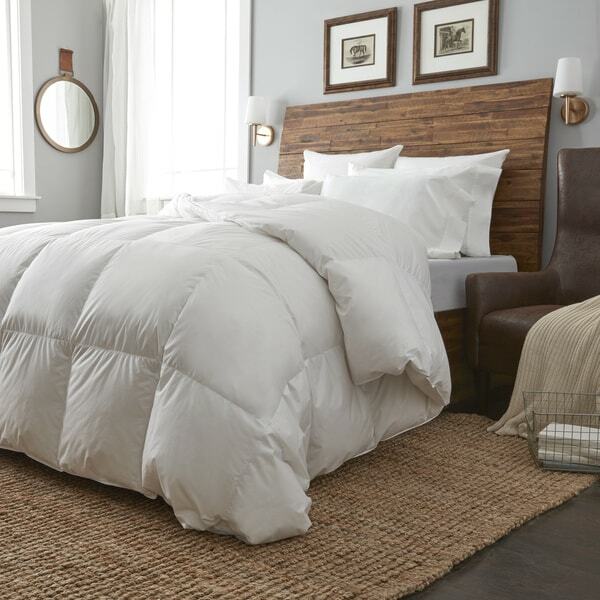 I just received mine and the tag says "white goose down (minimum 85% down) In no way is this comforter worth $ at best this comforter is worth $ I mean it is pretty comfortable and has a good feel but is it worth the price? No.